The Funds raised is to appeal the Conviction that I received at Gateshead Magistrates Court to the Humanitarian crime visited upon my Countrymen Women Children and the Unborn. Professional legal advice is required for this complex case. 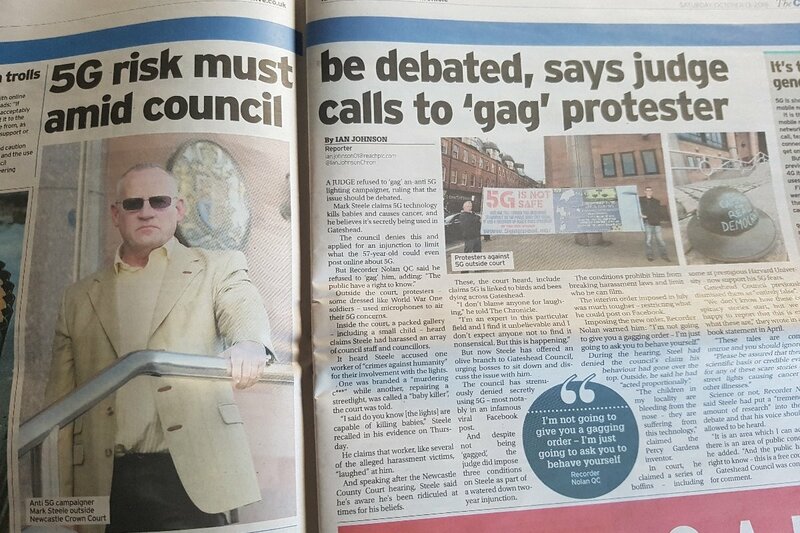 Warning Councillors of the Crimes they are committing that can result in the killing babies in the womb from the illegal and unlawful fitting of technology that they have sanctioned and are now ignoring the scientific evidence as well as protests from constituents is a crime. The support here will help us uncover this crime and bring the real criminals behind this illegal enterprise to book. 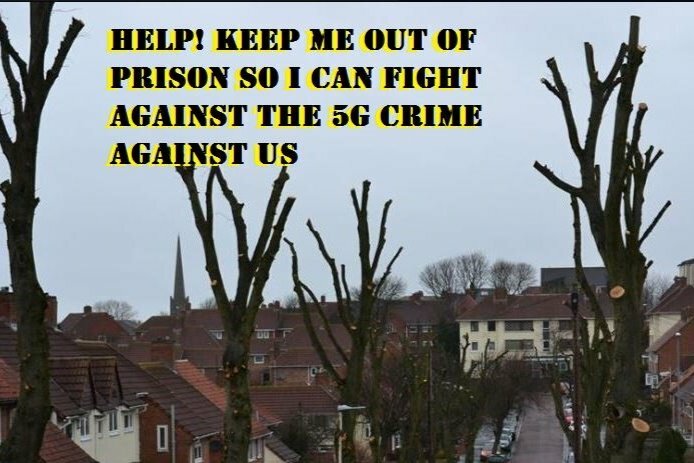 28th of MARCH upcoming Appeal against conviction and Sentence - No coincidence that this is the day before BREXIT - Keep our focus on 5G Crime against all of us. Do not let the deceivers distract us. We are making a massive impact, so much so the State Sponsored Trolls are out in force and have broken cover to try and deflect - disrupt - through deception, This was to be expected. WE ARE WELL OVER THE HALF WAY POINT IN RAISING THE FINANCIAL SUPPORT TO INSTRUCT AND OBTAIN THE MOST APPROPRIATE LEGAL TEAM TO RESIST THE LEGAL CLAIMS AGAINST ME - WE WANT TO KNOW WHY THE COUNCIL HAVE DECIDED TO IGNORE THE COURT DECISION. The CPS Have Postponed as one of the prosecution Witnesses that was missing in the first Trial who the defence have called is unable to attend.